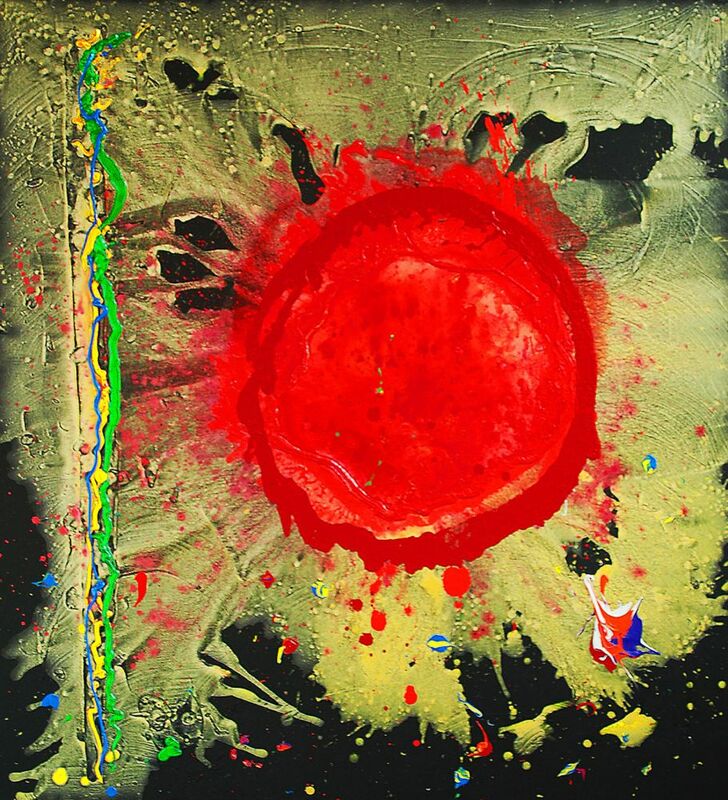 John Hoyland (b. 1934-2011) was one of Britain’s leading abstract painters. Since the early 1960’s he achieved international recognition for a body of work that eliminates literal depiction of the observed world. His art uses shape, colour, and later, texture and the movement of paint to evoke a world of emotion and imagination. A decisive influence was seeing the exhibition The New American Painting at the Tate Gallery in 1959. For Hoyland the large, defiant scale of American Abstract Expressionist painting provided a new direction. Following his first visit to New York in 1964 his work changed dramatically. By the mid- 1960s he had forged a distinctive personal style which advanced a startling use of simple shapes and high- key colour. These paintings defied the modernist insistence on a flat picture surface. Instead they emphasised the illusion of space. During the 1970s, Hoyland produced paintings which are thickly painted and richly textural. Insistently abstract, these works possess an extraordinary material physicality. Since the 1980’s,Hoyland’s paintings have developed far beyond their early formal emphasis, suggesting mysterious other worlds.